A frying system for pellets requires a system that can fry any type of raw pellet, has an accurate temperature control, exact frying time and very low total oil volume in the frying system. The Star-Wheel fryer fullfills all these criterias with its patented paddle wheel design and heating method giving an maximum Oil-Turn-Over -Rate of 3 - 4 hours. Frying nuts of any kind requires a frying system with very low total oil volume, accurate and controllable temperature profile along the fryer length and a good oil filtration system. 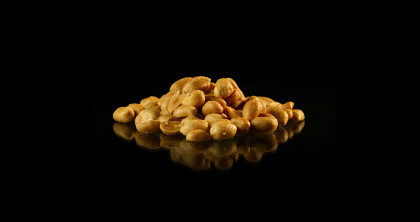 After frying the nuts normally needs to be cooled down before salting and packing. Rosenqvists has a range of special nut fryers, using external indirect heating to minimize the oil volume and ensure a continuous filtration of the oil. 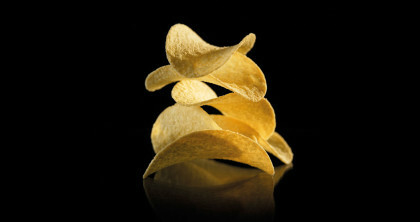 Rosenqvists has for many years supplied special frying systems for prefabricated chips also called stackable chips. Our unique know how about oil flows, thermal knowledge and oil filtration are married into our special frying system. 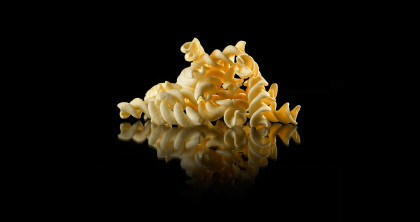 Fried extruded products ( sometimes referred as "wet pasta" ) are grewing in popularity. The product with a soft texture (high moisture content ) needs to be handled in a very delicate manner during the first part of the fryer in order to avoid any product deformation. 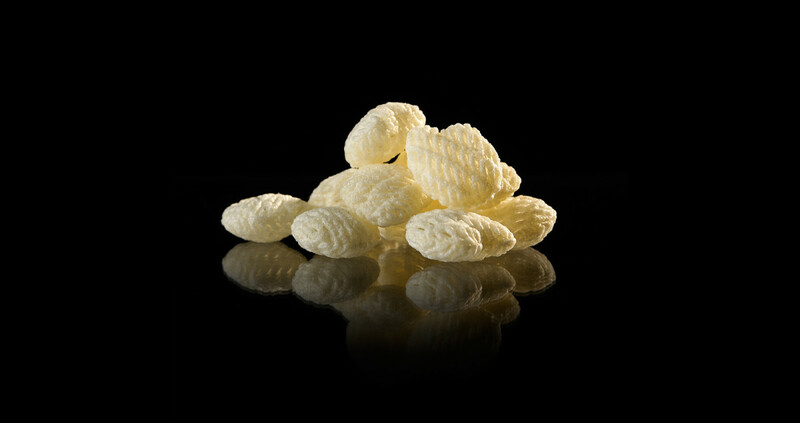 Banana chips or chips made from cassava are increasing in the overall snack market. 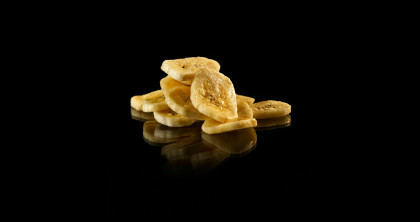 Rosenqvists has a specially designed production line for banana chips including: Pre-treatment and frying system. Based on the unique know how within Rosenqvists about oil flows, temperature control, product characteristics, oil handling,etc. we offer frying systems for different types of Ethnic snacks. It can be typical Indian snacks like : Moong Dal or other types of Namkeen. It can also be other local fried products.